1) We all appreciate a little sweetening up from time to time. 2) This is not the type of food that any of us are likely to order alone in a café, as it requires a communal eating ethic. 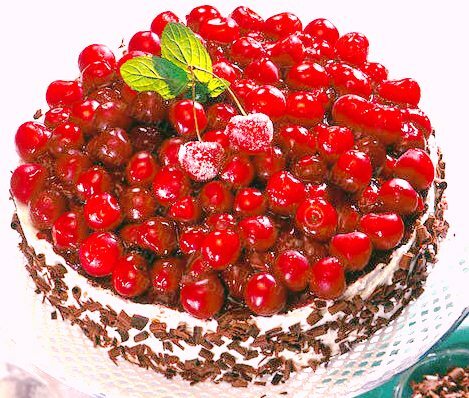 4) I like writing and saying Schwarzwälder Kirschtorte. 1) Ask someone with a Germanic background what SWKT is, if you are unsure. 2) On Friday morning at about 10:32am, infuse a green teabag in hot water for ten minutes. You will need all of the antioxidants you can muster to offset the nutritional wasteland that is SWKT. 3) Report to the common area in the middle of the fourth floor. 4) Select a piece of SWKT and then enjoy a conversation with someone you haven’t spoken to for a little while (it’s fun to talk to different people with a mouthful of K and T and the Z that holds the K between the T). See you there, all else being equal…. Bit envious that I missed this one! Looks divine!! ...seemed to go down well. Nothing left after morning tea!